Niccolo is currently working across Coller Capital and Jeremy Coller’s family office. At Coller Capital he is part of the Office of the Chairman and Chief Investment Officer, working on board level matters and investment strategy. As part of the family office, he invests across venture, public equities and real estate. In 2014, he developed a passion for Food Tech venture investing and has become one of the leading European investors in the space. Previously, he was Project Manager at Monitor Group (now Monitor Deloitte), focusing on healthcare, consumer and industrial goods, across strategic marketing and organisation projects. Prior to that, he worked as part of the McKinsey & Co. Management Matters initiative on management best practices and their impact on productivity and efficiency in the public (healthcare and education) and private (manufacturing) sector. 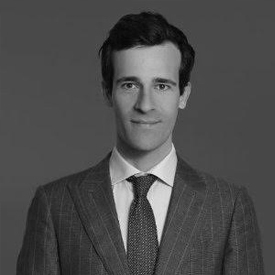 Niccolo holds a BSc from Bocconi University and an MSc from the London School of Economics and Peking University.